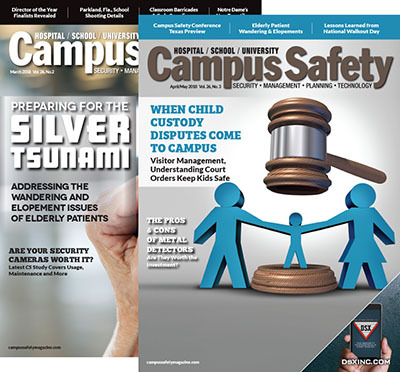 By submitting and reviewing ASV reports to the Police Foundation, you can better protect your own school or college, as well as help other campus safety professionals across the country to improve security. This week marks 20 years since the Columbine High School shooting and 12 years since the Virginia Tech shooting. Last month at the National Summit on School Safety, Natalie Hammond, a teacher who was wounded in the Sandy Hook Elementary School shooting, requested the days these tragedies occurred not be referenced as anniversaries but as days of remembrance. Ross Alameddine; Cassie Bernall; Christopher Bishop; Brian Bluhm; Ryan Clark; Austin Cloyd; Jocelyne Couture-Nowak; Steven Curnow; Corey DePooter; Kelly Fleming; Kevin Granata; Matthew Gwaltney; Caitlin Hammaren; Jeremy Herbstritt; Rachael Hill; Emily Hilscher; Matthew Kechter; Jarrett Lane; Matthew La Porte; Henry Lee; Liviu Librescu; G.V. Loganathan; Partahi Lumbantoruan; Daniel Mauser; Lauren McCain; Daniel O’Neil; Juan Ortiz; Minal Panchal; Daniel Perez Cueva; Erin Peterson; Michael Pohle, Jr.; Julia Pryde; Mary Read; Daniel Rohrbough; Reema Samaha; William Sanders; Rachel Scott; Waleed Shaalan; Leslie Sherman; Isaiah Shoels; John Tomlin; Lauren Townsend; Maxine Turner; Kyle Velasquez; Nicole White. We also want to acknowledge those who continue to cope with the grief, loss and trauma that these events have brought to so many. Furthermore, we want to recognize those whose heroic actions on these tragic days undoubtedly saved lives. 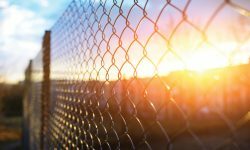 In the below article, originally posted in July 2018, Sarah Solano and Frank Straub with the Police Foundation discuss data surrounding averted incidents in order to identify “best and next” practices to prevent acts of violence in schools. Taking tragedies or potential tragedies, learning from them, and making much-needed changes is necessary in order to minimize the number of people who will experience these events in the future. Every year across the nation, acts of violence are prevented on school and college campuses by students, parents, teachers, staff, administrators, school resource officers, campus police and security officers. What have we learned from these averted acts of school violence, and how can those lessons help other schools protect our children and their staff? The project is based on the concept of a “near miss,” which has been used to inform the business practices in the aviation, fire and medical professions. The near miss concept holds that for every incident that occurs, there are significantly more averted incidents. 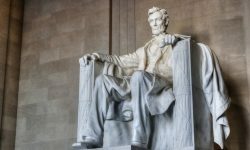 These averted incidents contain invaluable information regarding the strengths or potential weaknesses of current policies, procedures, training and methods. The Police Foundation has built a national database to record incidents of averted and/or completed acts of school violence (ASV). The national database collects and analyzes data regarding averted incidents to identify best, and more importantly, “next” practices to prevent and respond to acts of violence in our schools and on our college campuses. The Police Foundation defines an averted school violence incident as a violent attack planned with or without the use of a firearm that was prevented either before or after the potential perpetrator arrived on school grounds and before any injury or loss of life occurred. The Police Foundation collects incidents that occurred in the United States after the Columbine tragedy in 1999. So far, Police Foundation subject matter experts have reviewed approximately 51 incident reports that have been entered into the averted school violence database. 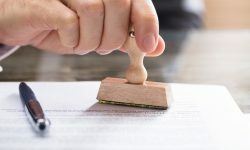 These averted incidents were identified primarily from open source news stories and court documents, however, there has also been an increase in the number of incidents reported by individuals who are aware of averted incidents. The Police Foundation also develops incident reports on completed acts of school violence and is currently working with subject matter experts to review these reports and provide lessons learned before entry into the database. The Police Foundation has conducted preliminary analysis on the 51 averted school violence incident reports. 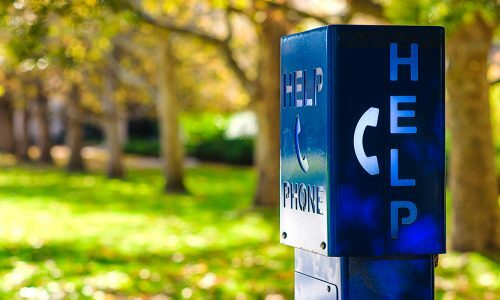 Schools and law enforcement must have a strong, pre-established relationship and open lines of communication before an attack occurs. Figure 1: A student peer initially discovered the attack plan in 29 incidents. Students should be trained not only to recognize threats of violence but also to recognize signs of suicide or depression. Parents should monitor their child’s social media accounts and remain aware of their general Internet use for any concerning searches or violent material. 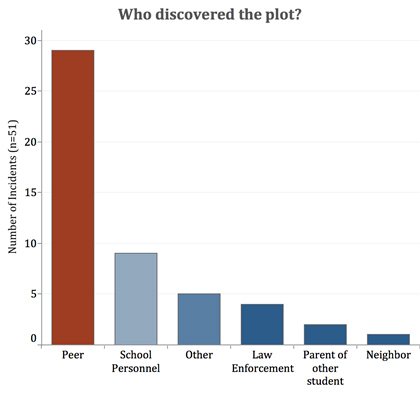 Figure 2: School violence plot was discovered in 17 incidents when the perpetrator directly told somebody about their violent plans/threats and in 10 incidents when they mentioned their violent plans on social media. Parents should take their children’s threats of violence seriously and seek assistance from law enforcement, mental health professionals and other service providers. Parents should keep all guns in a locked and secure location if they are in the home. School personnel, school resource officers, campus police and security officers should strive to develop and maintain rapport with students so they are aware of students who are bullied, feel excluded, depressed or challenged in other ways so they can connect them to services. 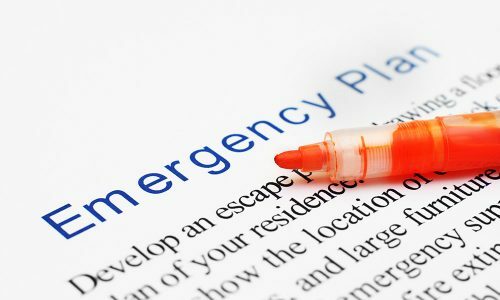 Schools must continuously update and practice their emergency communication systems and response plans. Schools should have a plan in place for timely communication of incidents to parents. Schools, particularly universities and higher education campus, should be aware that financial distress can be a trigger for violence. Schools should notify all staff when a student is suspended or expelled. That student should not be allowed back on campus the same day of the suspension or expulsion. Schools should direct concerns through a “safety team” for review and to design an appropriate course of action. Schools must be vigilant at entrance locations and have sufficient staff to process and observe individuals entering the school. By submitting and reviewing ASV reports to the Police Foundation, you can improve school safety in your district or on your college campus as well as help other school safety professionals across the country to improve safety. The database has a number of specific benefits both to the report submitters and to the individuals who review the report library. Averted and carried out school attacks can provide insights into the effectiveness of existing school and campus safety efforts nationwide. The ASV incident report library contains valuable information related to school security, averted attackers, successful discovery and prevention of attacks, lessons learned and recommendations. ASV incident reports can help prevent future violence when lessons are learned and recommendations inform the policies, procedures, practices and training of those who are engaged in school and campus safety. ASV reporting is anonymous, and submitted reports are additionally scrubbed to remove any identifying information about the school, perpetrator or report submitter. The online incident report form is broken into various categories. The main categories contain questions related to basic school information and security, information about the averted or carried out attack, information about the perpetrator or potential perpetrator, and a section to identify lessons learned from how the incident was handled. 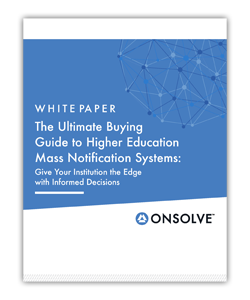 While we encourage report submitters to answer as many questions as possible to allow for the most robust data collection and analysis, all questions in the form are optional. If report submitters do not feel comfortable providing incident data, we still encourage them to complete the lessons learned and recommendations section. 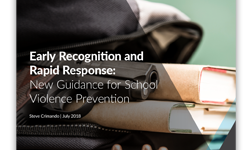 These recommendations and lessons learned can still play an important role in helping other schools prevent acts of violence. 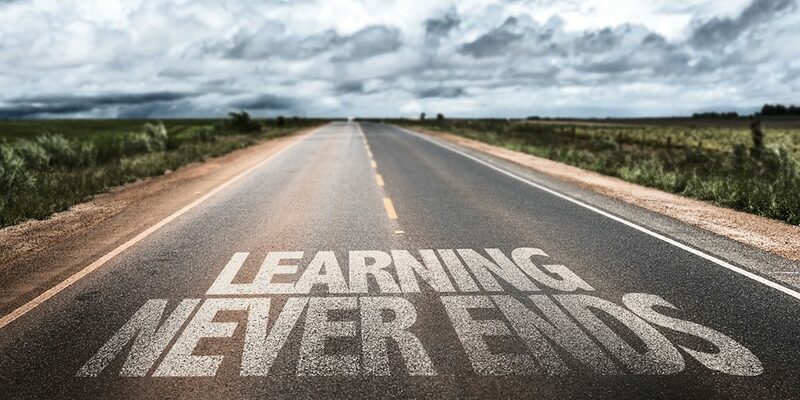 Lessons learned and recommendations can cover any aspect of the attack or averted attack — from physical school safety mechanisms, to safety drills and procedures, to the level of communication that played a role as the incident was addressed or prevented. As previously mentioned, the report form can be filled out anonymously. We suggest providing basic contact information if the submitter is unable to complete the form in one sitting and wants to be able to return to the same question form. Once a form is submitted, school safety subject matter experts remove identifying information as necessary and provide additional lessons learned and/or recommendations. Subject matter experts have backgrounds in counseling psychology, campus security and law enforcement, risk management and threat assessments. Experts have conducted extensive research on averted and completed attacks. During the review process, the report form is NOT available on the ASV online platform. The Police Foundation will publish the report in the report library at www.asvnearmiss.org only after review by subject matter experts and the removal of identifying information. The online report library is not open to the public, and those that request access are vetted by the Police Foundation before access is granted. Reports are searchable and categorized by fields such as type of school, means of plot discovery, types of weapons acquired by the perpetrator, date of the attack or planned attack, and more. The Averted School Violence database holds great promise in informing school and college campus safety policies, procedures, training and practices through a robust library of incidents, lessons learned and best practices. 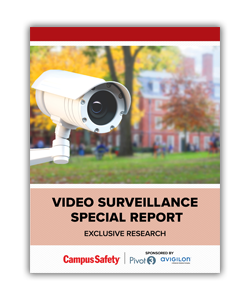 By carefully analyzing the incidents recorded in the database and the lessons learned, school resource officers, campus police and security officers, administrators, teachers, law enforcement and others can strengthen current programs and identify next practices to ensure the safety and security of our schools and college campuses. If you have been involved in an averted act of violence, we encourage you to complete an incident report form at www.asvnearmiss.org to help grow the lessons learned to benefit you, your department, or school. The website is mobile friendly. For more information on the Averted School Violence project, contact Sarah Solano, ssolano@policefoundation.org, 202-833-1469. Sarah Solano is a project assistant for the Police Foundation and Frank Straub, Ph.D. is director of strategic studies for the Police Foundation, www.policefoundation.org. John Rosiak is the founder of Prevention Partnerships, www.rosiakassociates.com. This is a fantastic idea. We must look at both the Averted Acts and After Action Reports so we can review current plans and training to both prevent and respond to future events.